I often like to say that it's not a too much information problem, it's a lack of knowledge of yourself problem. Meaning there's a lot of information out there but you don't know what applies to you specifically. There's a value to blood tests, like there's a value in owning books. But books are only as valuable as your ability to read them. What is TC (Total Cholesterol)? TC is HDL+LDL+20% of your triglyceride level, and is what people mean when they say their cholesterol is high or low. HDL is called the "good cholesterol" and LDL is often called the "bad cholesterol." They aren't actually cholesterol, they are proteins that carry cholesterol, this is an important distinction. Sometimes TC can be misleading because if the "bad" cholesterol and triglycerides stay the same, and the "good" cholesterol goes up, then your overall TC goes up, which can alarm many people. But you want as much HDL (good cholesterol) as you can get. Which is why you should use statins with care and as a last resort. The TC guidelines work just as it implies, as a guideline. A way to estimate health risks for the population as a whole. Think of it as a general rule but not specifically accurate. The majority of people with high TC may have high LDL, triglycerides, and low HDL, but this may not be true for everyone. You can also have a situation where TC is low but LDL is high. TC is the first step but by itself it's inconclusive. It's by no means a law. There are few absolutes in medicine, which is why it's constantly changing and difficult to find any direct cause and effect in studies. When you do cholesterol panel, it only tracks the cholesterol level of the LDL and not the number of LDL particles, but recent studies are showing the LDL particle numbers in the bloodstream is the more accurate measure of heart disease risk. More cholesterol does not mean more LDL particles. Carbohydrates (sugar) encourages glycation of tiny LDL particles. What you want is large LDL particles, the larger they are the less you'll have. Healthy fats increase LDL particle size, which is why there has been a shift in guidelines and there are more recommendations of things like olive oil, almonds, and fatty fish. The other benefit of healthy fats is they increase HDL. The most accurate way to test for LDL particles is with a Lipoprotein Particle Profile. As I mentioned earlier, in determining TC, serum triglyceride levels aren't weighed the same as HDL and LDL are. Only 20% is factored into determining TC. The simplest way to think of it is, every 5 mg/dL of triglyceride is equal to 1 mg/dL of LDL. You need a very high amount of triglycerides in comparison to cholesterol for it to be considered dangerous or meaningful. TC:HDL ratio – Lower is better and indicates fewer LDL particles. The American Heart Association recommends a ratio of 5-to-1 or lower. An optimum ratio is 3.5-to-1. A higher ratio indicates a higher risk of heart disease; a lower ratio indicates a lower risk. Triglyceride:HDL ratio – Lower is better and indicates larger LDL (and usually fewer) particles. 2 or less is ideal. One study found that 1.33 was the cut off but 1 or below may be most optimal. People assume when TC and triglycerides go up, it must be due to dietary fats. The truth is, the actual culprit may be carbohydrates and sugar, especially the quick dissolving kind. Good fats can actually lower triglycerides. When you eat more dietary fats, the less cholesterol your liver has to produce. When you eat more carbohydrates (sugar), the more cholesterol your liver has to produce. This is where we get more LDL particles. This is where the danger begins. Other causes for high TC include: genetic factors, other health issues, weight, and especially alcohol use and increased stress (both disrupts the liver). Insulin and leptin are other factors and lowering dietary fats does nothing for that, in fact it may make things worse due to increased carbohydrate consumption. Heart disease is ultimately an inflammatory response, and there are many paths to inflammation. For the urban dweller, one of the most common paths to inflammation is stress. Cholesterol may be a sign of inflammation but may be the wrong target to prevent heart disease. It's the smoke but not the fire. Cholesterol is essential for life and trying to completely get rid of it will have adverse effects to our longevity. One blood test really doesn't tell you much. You need to see trending, how it's moving throughout the years. If you're young and very healthy, once a year is fine. For people who want more accurate data, I would recommend getting tested twice a year. Make sure to go in fasted, and to start lowering cholesterol rich foods a few days prior to the test (as to get the most accurate reading of your TC, not the TC of the food your body is still digesting). Think of a blood test as taking one picture of moving traffic. You need a series of images to know what's going on and if it may be headed towards or away from a traffic accident. Remember your numbers can jump around 20-30 points in either direction and be considered normal fluctuation. Science and research changes very quickly. Policies (especially health policies) take decades to change and may not reflect the most accurate data. And rightfully so, policies that change rapidly will not be taken seriously. Which is why many of the leading organizations on heart health will talk about the value of dietary fats and the dangers of sugar, but still end with, "but we still recommend a low-fat diet" that is still very carbohydrate heavy. That's the policy but cholesterol may not be the most accurate determiner of heart health as we once believed. It's the conventional method, which is not the same as the most effective method. 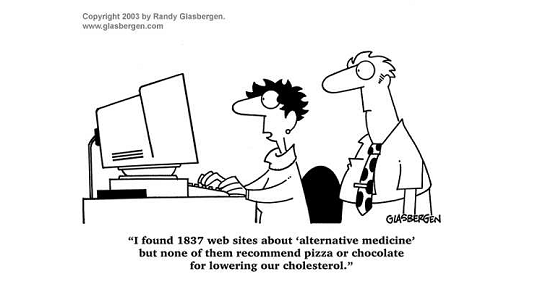 It's more complicated than just cholesterol.